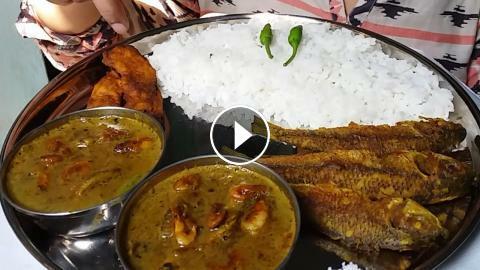 eating show fried fish and shrimp curry eating with rice mukbang Indian food . hi friend aj meri khane pe bahat hi delicious food thi , jise dekhke aplogo ke muh me pani chali ayegi . yeh sare foods meri mom ne banaya hai . mere liye toh yeh best food tha .